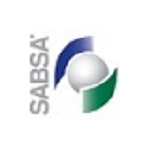 Learn how the SABSA Institute’s latest working group is planning to develop a repository of SABSA Business Attribute Taxonomies to make available to the SABSA member community. Hi, I would like to get involved in the WG if there is room? Hi, I would like to get involved, learn and contribute – is there any open position? Hi, I would like to get involved. How can I proceed?